The newspaper theme is a theme with a modern and fresh look. The design is clean and suitable for any time of classifieds website. Ten different color schemes are included and make it possible to adapt the website easily to the prefered image. 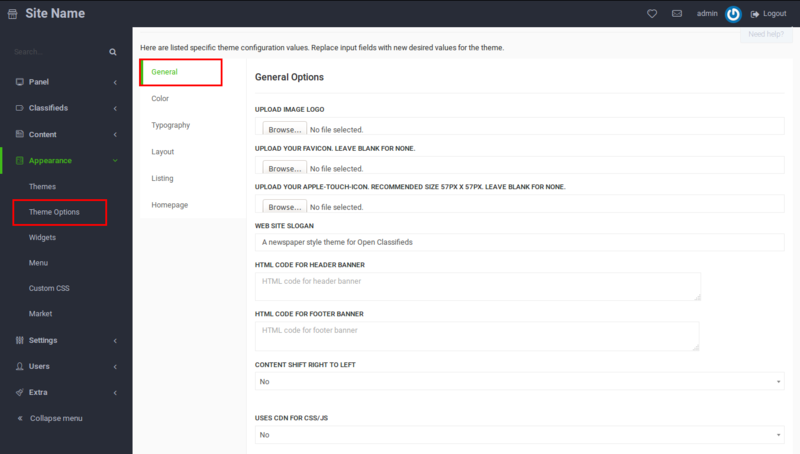 The width of the site can be changed from the admin panel, giving more customization options. Search for Newspaper and click on Activate. Upload image logo: Upload your website logo, it will be displayed on the top of your website. Upload your favicon. Leave blank for none. : You could see the favicon displayed next to your website name/address on browser tab. Web site slogan: Enter here your website slogan that will be displayed below the website logo. HTML code for header banner: you can put any text or banner as a header of your site. Works great for putting ads e.g. Adsense. Just paste the correct HTML of the banner. HTML code for footer banner: Works the same as header one, enables to place a banner at the bottom of the page. Set max layout width in pixels: Choose the width of your website layout. Turn off sidebar in advertisement page: Choose if you want the sidebar to be displayed on the advertisement page. 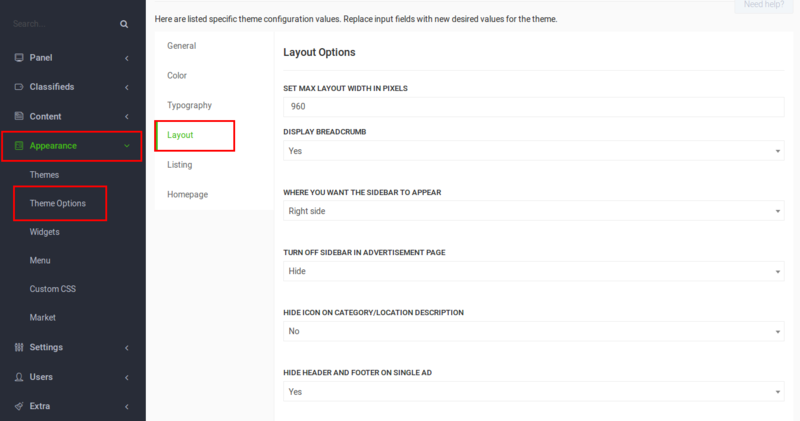 Number of advertisements in listing slider: If Display slider in listing is enabled, select how many ads will be displayed there. Show locations in HOME: Select “show” if you want to display all the locations under the categories in homepage. Show big query search in HOME: If “Show” is selected, a search input is displayed on the homepage. 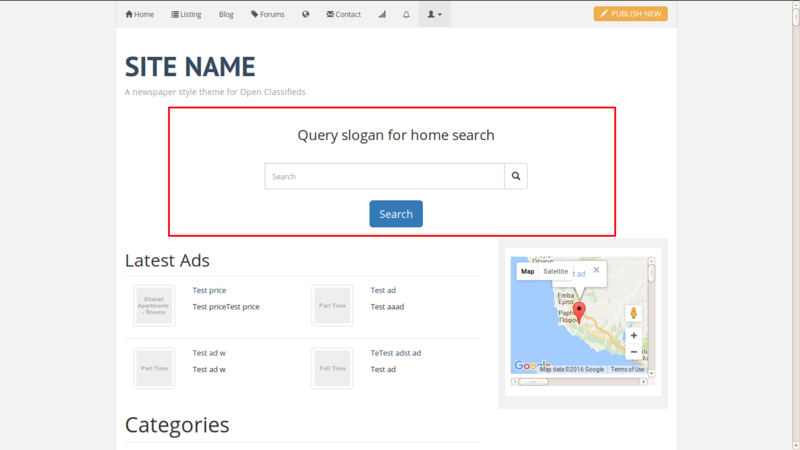 Set query slogan for home search: If the search input is enabled, enter the text to be dispayed above the input as title. Homepage Only Header, allows HTML: Here you can add any HTML code you want. It will be displayed on the top of the homepage only.